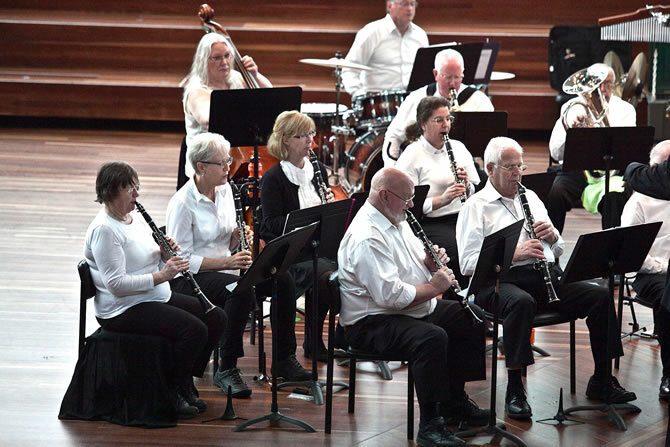 The New Horizons Concert Band is for Adult Beginners. It doesn’t matter how old you are, you can learn to play an instrument and have fun at the same time. 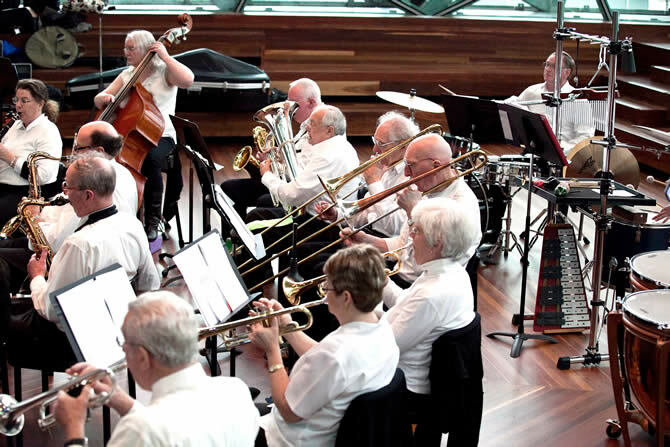 Whether you have played a bit in the past, or simply never had the chance, the New Horizons Concert Band could be the start of a new experience of music. Members of New Horizons come from all walks of life. Some have never played an instrument. Others haven't played since school. If you enjoy music and want the chance to 'play' with others, the New Horizons Band could be what you are looking for. Lessons on the following instruments are offered - Trumpet, Trombone, French horn, Tuba, Euphonium and Percussion. Some instruments are available for hire so they can be tried before purchasing. 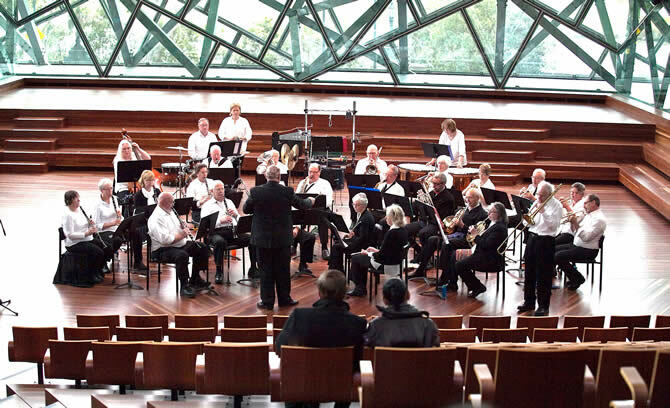 The New Horizons Concert Band was launched by the Dandenong Ranges Music Council (DRMC) in February 2008 and has steadily been growing in numbers since then. Thursday afternoons during school terms between 1.30pm and 3.00pm. Lessons are conducted before band rehearsals or as arranged. $10 per week for band rehearsal only. $29.50 - lesson and rehearsal (lesson $22.00 and rehearsal $7.50). Our conductor is Brian Hogg. 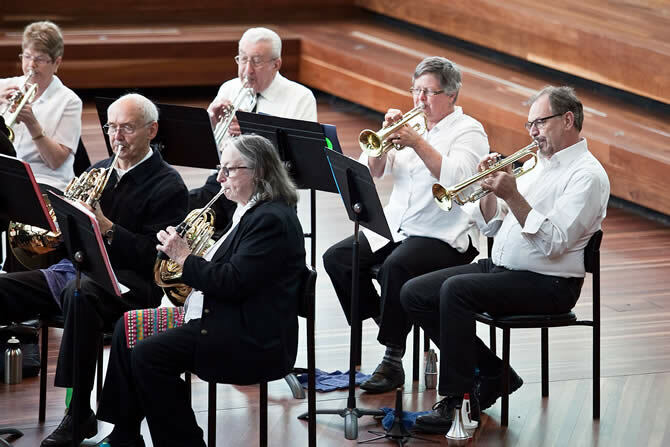 Brian has some thirty-plus years experience teaching music, running music camps, conducting choirs, bands and ensembles and is a composer in his own right, being known for his contemporary concert band compositions. He is passionate about music. If you would like to know more about Brian then Google 'Brian Hogg'. Brian teaches brass and percussion. The music we play covers a wide spectrum. 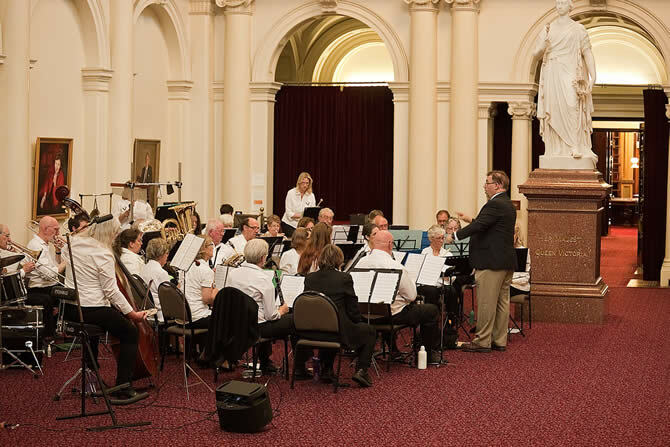 It ranges from classical pieces to pieces for children and includes music from movie and television themes, music with an Australian flavour, music from other countries, music with an American flavour and Christmas carols and songs. 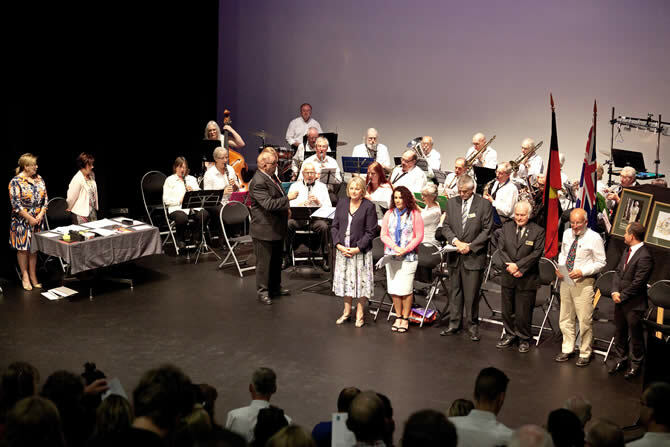 The New Horizon Concert Band does six to eight performances a year including retirement villages, Probus Clubs, workshops with secondary school students, introductions to instruments in the band with primary school students, official openings, special events, conferences and, of course, carols at Christmas time. We have also started a beginner band. This band is for people who have never played a musical instrument or who haven’t played for a long time, for people who want to learn a different instrument and those people who wish to again take up where they left off in the past. 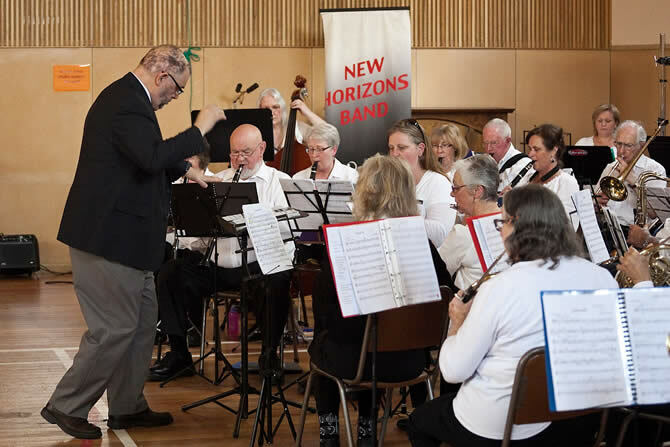 Rehearsals are conducted before the New Horizons Band rehearsal at the Tecoma Uniting Church from 12-30PM to 1-15PM. Private lessons can be arranged. DRMC annual membership fee of $40.00 applies.